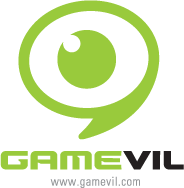 News is just coming out of the East that the two South Korean mobile gaming giants, Gamevil and Com2uS are now one. Per Livedoor [Translated], Gamevil has bought a majority stake in Com2uS to the tune of 70 billion South Korean won, which is the US equivalent of a little over $65 million. Gamevil and Com2uS have been directly competing in the mobile world basically forever, with the App Store serving as their latest game development battlefield. It’s easy to get super speculative as to what’s going to happen with popular Com2uS games, how the Com2uS IP and online services will merge with what Gamevil is offering, and more… But, all we know right now is that Gamevil has tossed out a whole ton of cash, and the power that be at Com2uS responded with a “Sure, let’s do this." How about a Zenonia and Inotia crossover?! Next PostNext NimbleBit and Disney’s ‘Tiny Death Star’ Combines ‘Tiny Tower’ with …Star Wars!